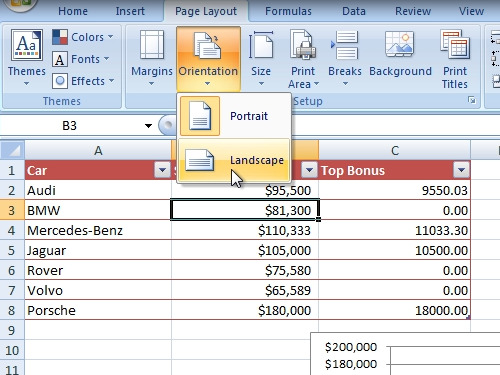 In this video tutorial we will show you how to change excel to landscape orientation. In order to change excel file to landscape orientation, open your excel document first. Go to “Print”, then “Print Preview”. As you can see, the page has a portrait orientation now. Close print preview. Go to “Page layout”. In “page setup” area click “orientation” and choose “Landscape”. 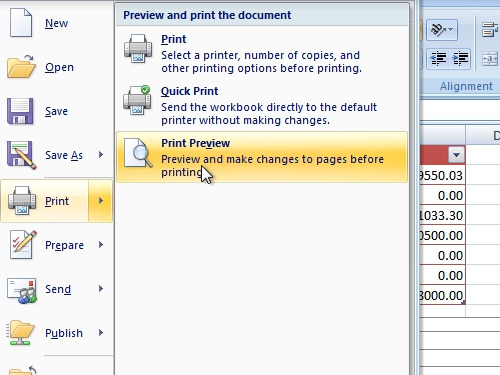 Now go again to a “Print preview” where you can see that the excel sheet has changed to landscape orientation.